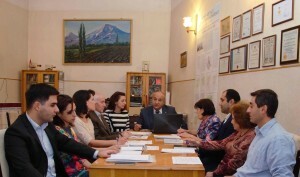 Armen Saghatelyan, Chair of scientific board, Director, Doctor of Geolog-mineral. sci. Bagrat Mezhunts, Head of Bioenergy and Feed Quality Department, Doctor of Agricultural sci.